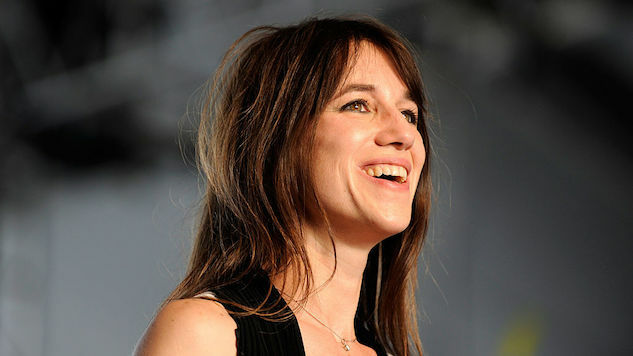 For the first time since 2010, Charlotte Gainsbourg is set to release a studio album, her fourth. Rest is out on Nov. 17 via Because Music/Atlantic Records. Gainsbourg partnered with producer SebastiAn (Frank Ocean, Kavinsky) to craft the album, which also features collaborations with the likes of Paul McCartney, Owen Pallett and Connan Mockasin. Gainsbourg wrote the lyrics to the album, experiencing the daunting task of expressing her ideas in that way for the first time and making the effort even more intimidating by versing her thoughts in French. Having always lived in the shadow of her father, French musician Serge Gainsbourg, Gainsbourg had never dared to write in French. However, following the death of her sister, fashion photographer Kate Berry, she found that it was easier for her to “express certain things” in French while she grappled with her loss. Through Rest, she also addresses other internal conflicts, including dealing with shyness as a performer, and even facing illogical childhood fears, using lyrics from her own diaries. “It’s the first time that I’ve surrendered myself, and the end result belongs to me,” Gainsbourg said. Check out Rest’s album art and tracklist below, and head over to Apple Music now to see the exclusive video for the title track. You can listen to the audio below.